Microlearning / What Is Microlearning And What Are The Most Important Microlearning Features? What Is Microlearning And What Are The Most Important Microlearning Features? For the super busy employees of today, learning must be short, concise, and available at the time of need. Ideally, this learning should be made accessible from anywhere and on any device that employees prefer. These changing demands of learners have given rise to a new trend of learning through small nuggets of online courses: Microlearning. Get going with this free eBook to discover everything about Microlearning's versatility and ubiquity. Microlearning refers to the learning strategy that delivers learning content to learners in short, bite-sized, and easily digestible learning nuggets. A microlearning module is focused on meeting one specific learning outcome, by breaking down a large topic into numerous bite-sized modules and allowing the learner to take them in the order of their choice. 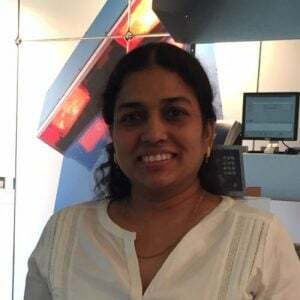 Although the concept of learning in smaller bites has been in existence for a long time, many of us were oblivious to its influence as a potent tool for employee training. Fortunately, it has now gained immense popularity in the fields of corporate training and education. Microlearning is not all about the smaller size of training modules, or about being compact. There is more to it. Here are a few features of microlearning that make it an ideal training strategy for employees. A learning objective is a statement which defines what the learner will be able to do or know after completing the training. While an eLearning course deals with multiple learning objectives, microlearning deals with only one performance objective per module. This ensures that learners take one step at a time so that they clearly understand it, before moving to the next one. Any training program includes 2 types of information – need-to-know and nice-to-know. Where eLearning covers both of them, microlearning mostly offers need-to-know information. This saves a considerable amount of time and makes microlearning modules specific, to the point with targeted information. It eliminates the confusion of what is important and what is not, and gives only so much information that is needed to get the job done. Be it in the form of a video or podcast, an infographic or an interactive PDF, with only one performance objective per module and targeted information, microlearning is so structured that learners need not invest more than 8-10 minutes to complete a module. Usually, it is much less than that. This feature of microlearning makes it ideal for today’s learners with short attention spans and tight schedules. You need not go to a computer always to access a microlearning module. 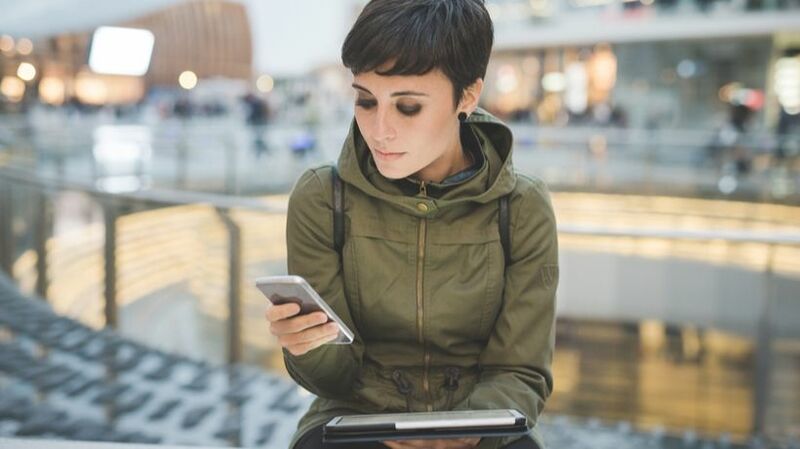 Typically, all microlearning modules are designed so that learners can access them on any mobile device – smartphones, tablets, notebooks, or iPads. Also, the short duration of the modules makes it feasible for mobile access. A microlearning module will not always necessarily be in the form of a traditional eLearning course. They can be independent learning units in any form such a short video, an infographic, a podcast, quiz, scenarios, whiteboard animations, interactive PDFs, or games. This will help eliminate the monotony in training programs and increase the interest levels of learners. The beauty of microlearning is that you can use it as a standalone training delivery mechanism or blend it with your overall training strategy and use it anywhere in the learning cycle. Offer a pre-test before a formal training program to gauge learners’ prior knowledge or inform employees of what they can expect from the course (pre-training). Provide additional references, examples, and activities during the training program. Reinforce knowledge after the training program (post-training). Microlearning nuggets can be standalone, without the need to access any other training modules to understand the topic. Or, they can support the usual training, adding interaction to the otherwise one-way communication. Short duration, targeted information, any device access, performance support, and fluidity to fit anywhere in the learning cycle – these features of microlearning make it a great corporate training solution for employees. Microlearning also helps flip the forgetting curve to the retention curve. 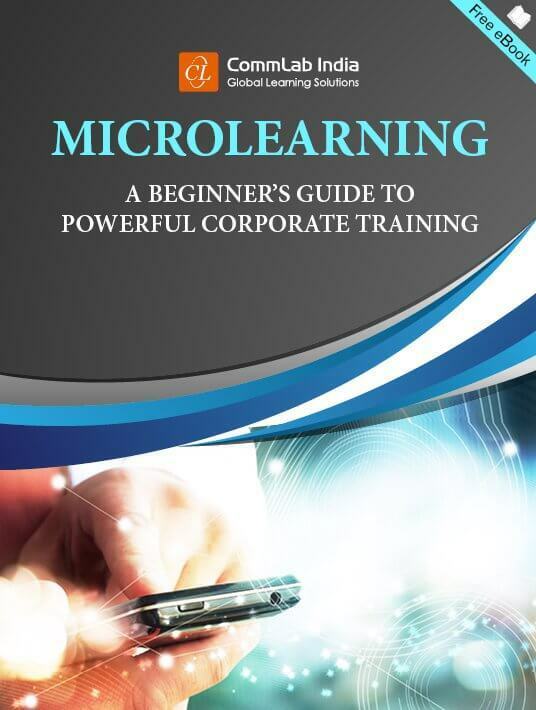 To know more about microlearning, download the free eBook Microlearning: A Beginner’s Guide To Powerful Corporate Training.